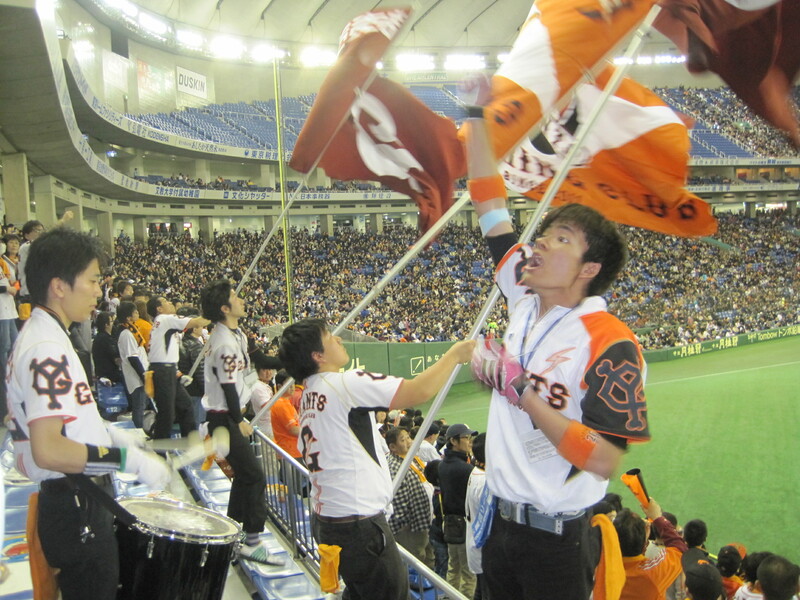 The Yomiuri Giants Cheering Club seemed a little more organized than the Hanshin Tigers edition, complete with customized T-shirts for chant leaders and a team of flag-wavers. 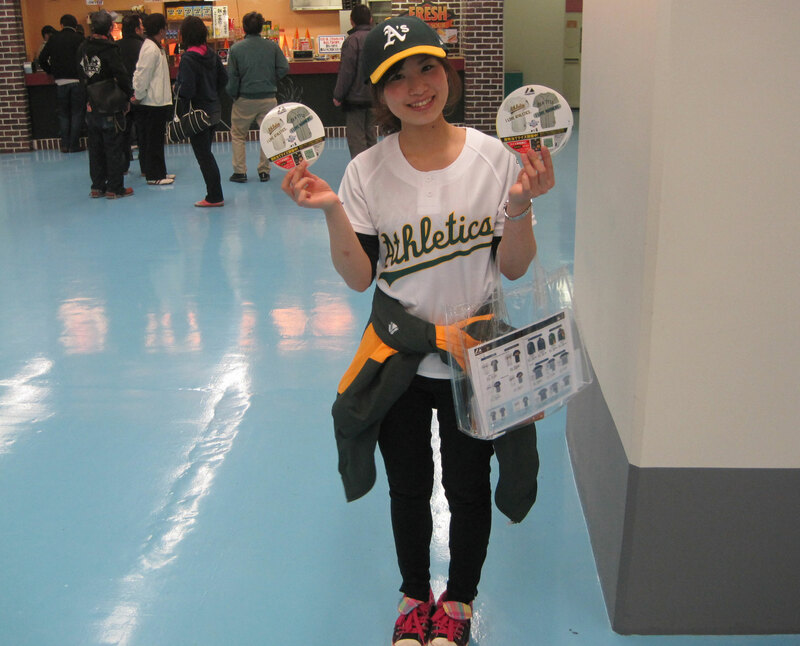 Even so, the Tokyo Dome seemed quieter during this game than the earlier A’s-Tigers matchup. The stadium wasn’t completely full — odd, considering the Giants play their home games here — and Giants fans had little to cheer about with their team getting shut out. 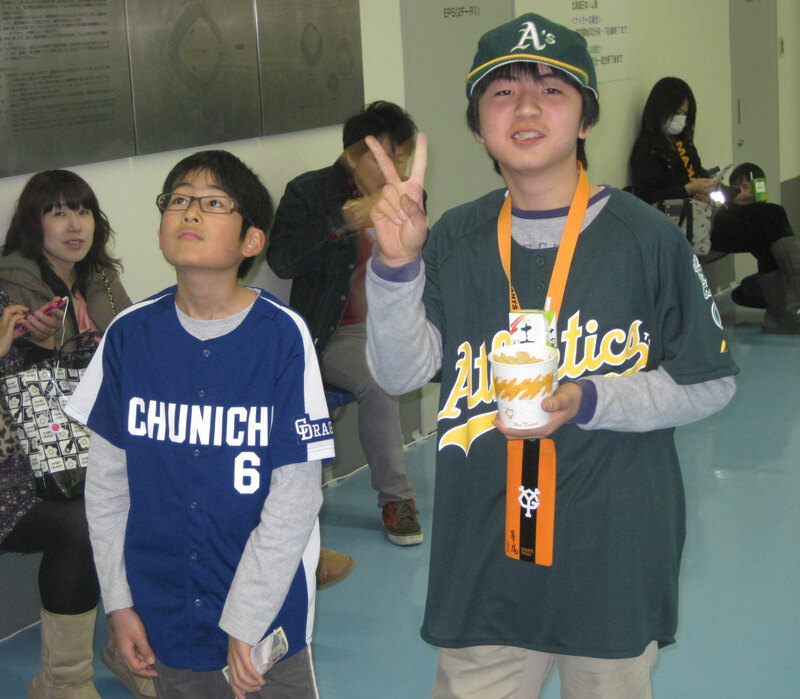 Found a few Japanese A’s fans in the house, both young and old. This guy told me he’s been rooting for Oakland for 10 years and that he recently adopted Yoenis Cespedes as his new favorite player. Looks like he’s successfully indoctrinated his daughter into baseball fandom but sonny is still dubious. Young fella was unable to identify a favorite Athletic, but he did come up with “baseball great” when I asked him about Oakland. 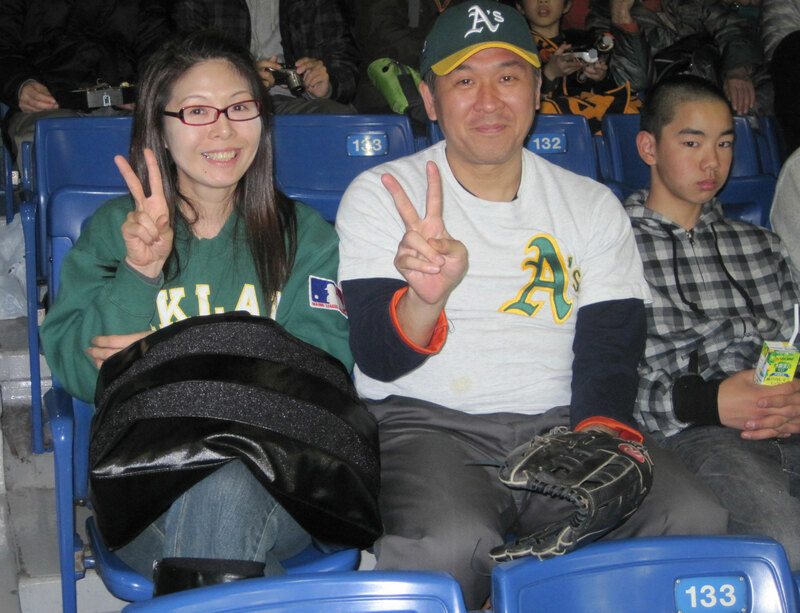 Someday, I’ll understand why Japanese people love to throw up the peace sign any time they catch you snapping a photo. Today is not that day. Keep chuckin’ deuces, y’all! 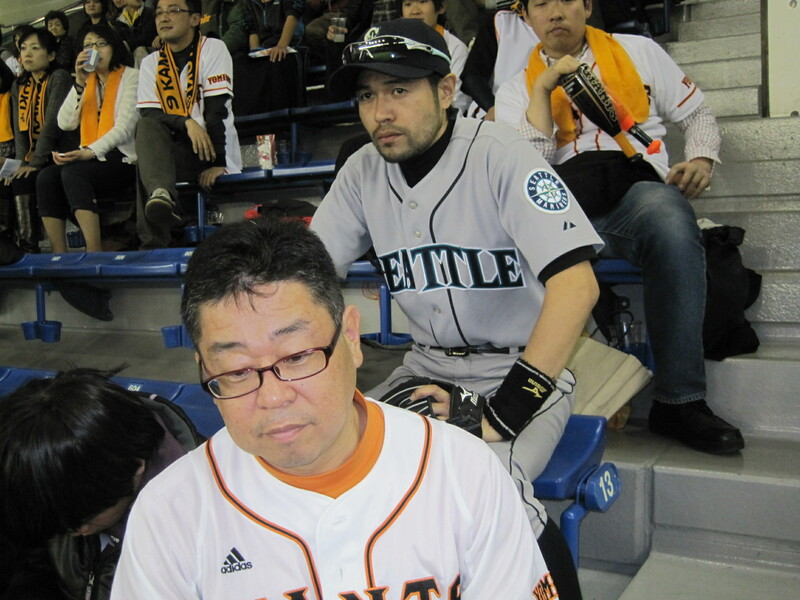 The Ichiro impersonator sitting near the band in right-center took the Giants loss pretty hard — especially considering it was just an exhibition and Ichiro doesn’t currently play for either team involved. This guy has serious commitment to his craft with the sweatband, shades and even that faraway “128 million people need me to reach 200 hits again this year” look in his eyes. We chatted for about five minutes. I understood “Athletics,” “QR code” and nothing else.